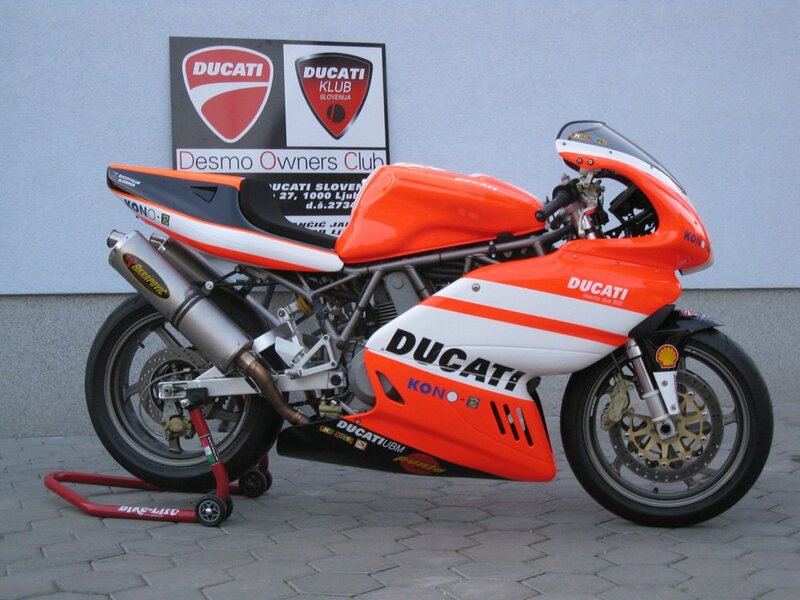 a budy of mine had this 2002 ducati 900ss ie Senna edition and had to sell it really quick. i pretty much stole it. i couldnt pass up the offer. it has an ohlins shock with remote resevior. forged mag merchesini wheels. brembo rotors, calipers, clutch and brake MC's, carbon fiber arrow exhaust. 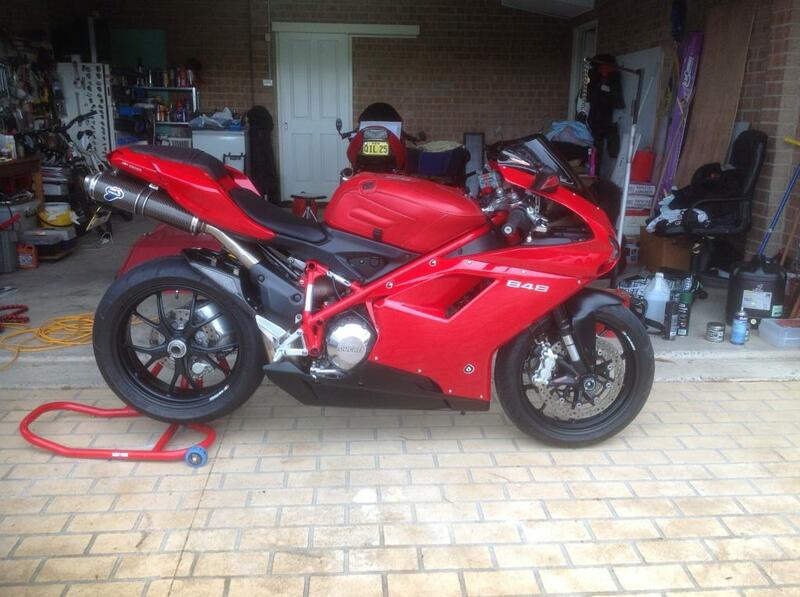 i wasnt planning on buying a ducati but like i said the offer was WAY to good to say no. its a pretty sweet ride. air cooled. about 80 hp. dry clutch. SOHC. desmodromic valves. 2 valves per cylinder. its not a repli racer but its really fun to ride and puts a huge smile on my face. Note: in no way is this replacing the VTR. although i think i might turn the VTR into a dedicated track bike and use this as my daily. we shall see. i could turn around and sell this Duc for a tidy profit. Eeww. One of my most unliked Ducs. That lower looks like an elephants mouth! 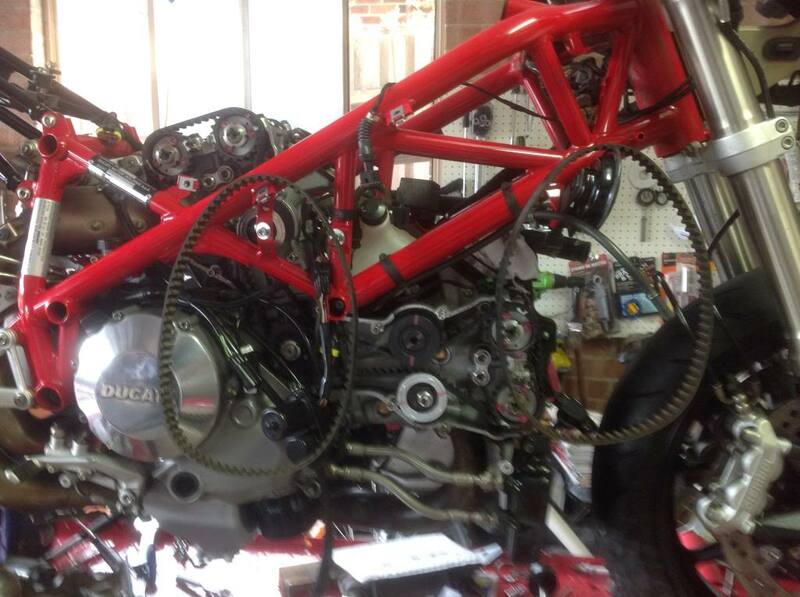 Now you get to learn about Ducatis famous valve adj maintenance. 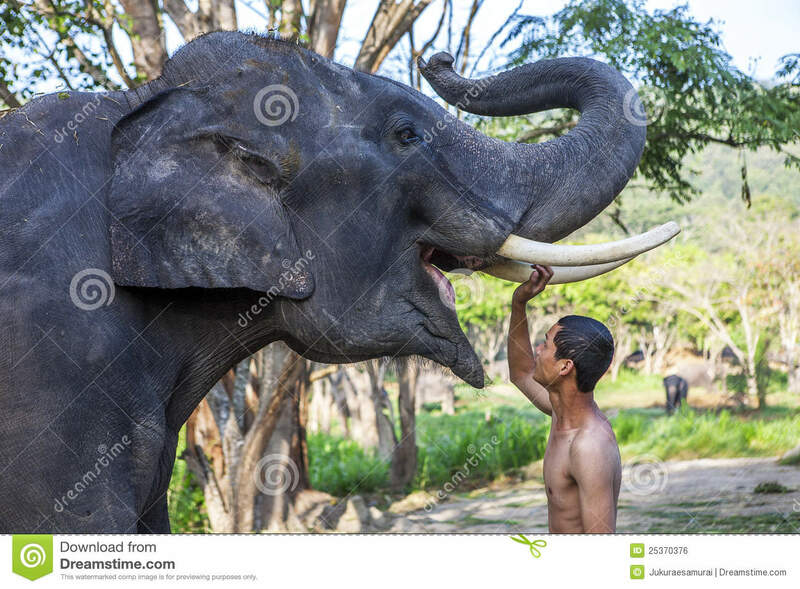 hahahaha elephants mouth! i agree. its not my favorite Duc either. and im not in love with the frequent valve adjustments. i might just flip it and turn a profit. who knows though. its fun to ride around for now. Last edited by Wolverine; 07-13-2014 at 05:48 PM. 80hp? 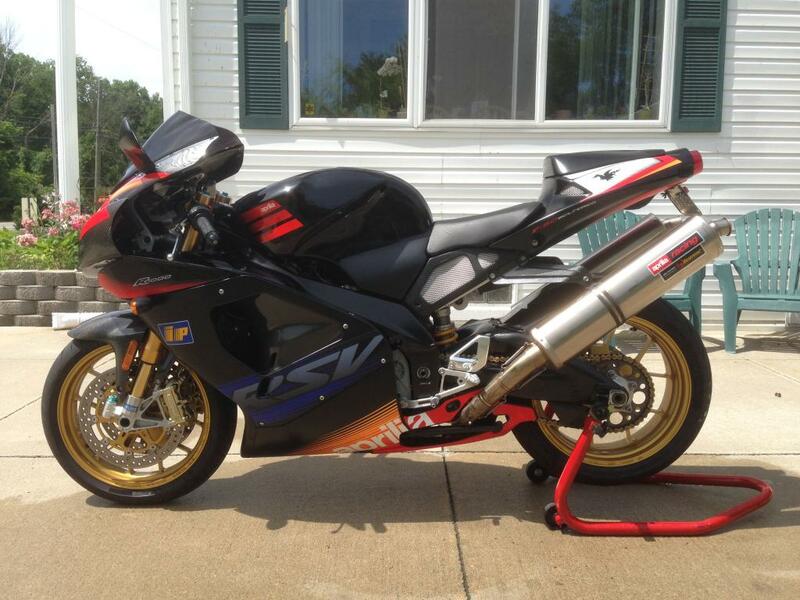 I know its kinda cool but i would get something better for a street bike. Something that you dont need to work on all the time. My opinion is sell it for a profit and get a cheap commuter. Spend the rest on the VTR. 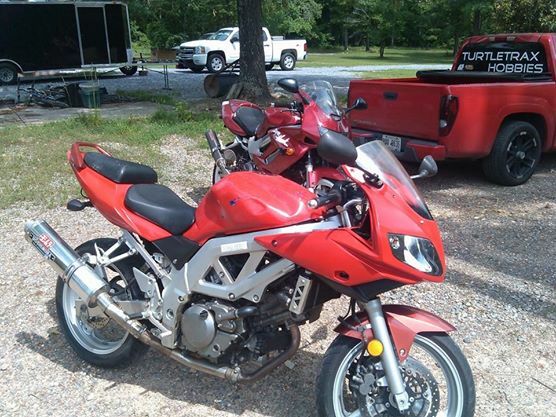 If I were you i'd sell for a profit and mod the VTR or wait for a newer Duc that you like. TBH for what i payed for it all of you would have jumped on it. only 6,000 miles on it and CLEAN. lets just say that you could do a USD front end swap on the VTR for abought what i payed. like i said i wasnt in the market for another bike, but he shot me a number i couldnt say no to. i only bought it this morning. i rode it all day. i know its kinda an ugly duckling. especially for ducati. but it handles like a dream. and it has enough power and acceleration to scare you. i know its only 80 hp but maybe because the way its geared or something it doesnt feel slow at all. im unsure ive what to do with it as ive only had it for a few hours. if i sell it, i could easily get 5 or 6 times what i payed for it. 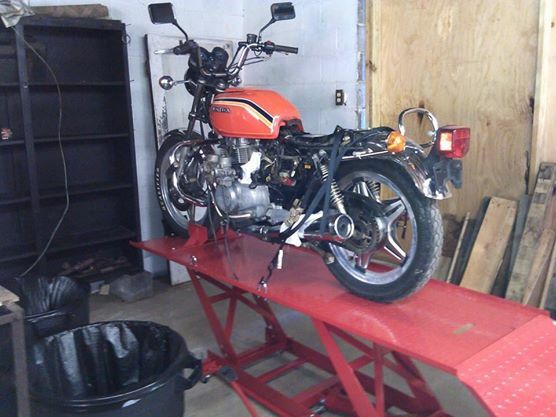 although im seriously considering turning it into a cafe style bike like the one i posted. ive always loved sport bikes with all the modern components but they retro cafe look. and with hardly any money you can take the valve service intervals from every 6,000 miles to every 12,000 miles which isnt much less than the VTR. Last edited by jscobey; 07-13-2014 at 09:41 PM. Ah, that bike buying thing is a tender trap. I was able to stop at 5. It is a nice bike but that elephant thing is also true. I couldn't see going from honda to ducati as a streetbike but if you dont ride the heck out of it maybe its ok. I need an anvil like the vtr. Awesome man...have fun with her! This one lives in the cave with the Storm and an Aprillia. My motto has always been, ride it for an hour work on it for two. They require constant attention as well as demand it otherwise they go off very quick. Is like the Storm (Hawk) and requires less attention than the Duc but is still more demanding than the Storm(Hawk). Good luck and enjoy, beware these bikes are money pits if you are **** about your bikes! I actually don't mind the looks whatsoever, and the deep gray color is beautiful. Different strokes. It's a sweet ride if you ask me. I would keep it, and enjoy the Hell out of it. kenmoore, what is it that makes Duc's so labor intensive? is it only the frequent valve adjustments or is there more to the story? my bikes really need to be more of a work horse. yes i mod them. but i need trouble free low maintenance riding. 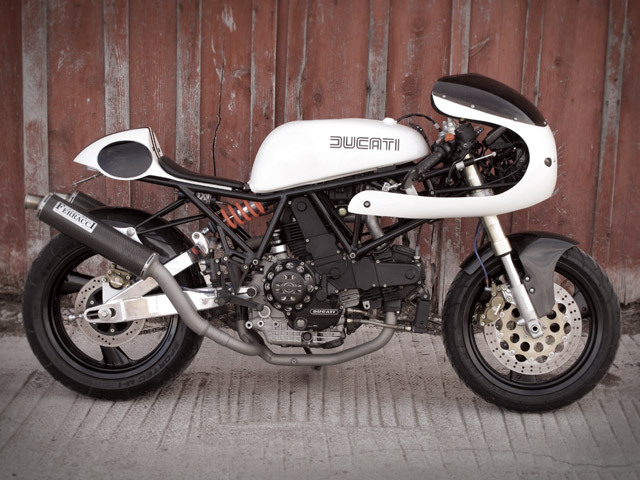 theres no doubt the bike borrows its looks from ducatis old supermono. Last edited by jscobey; 07-14-2014 at 09:07 AM. nice find, that color is gorgeous! I've read plenty of forums where people with older monsters go forever with just the valve adjustments. Heard of some 100k+ mile bikes too. 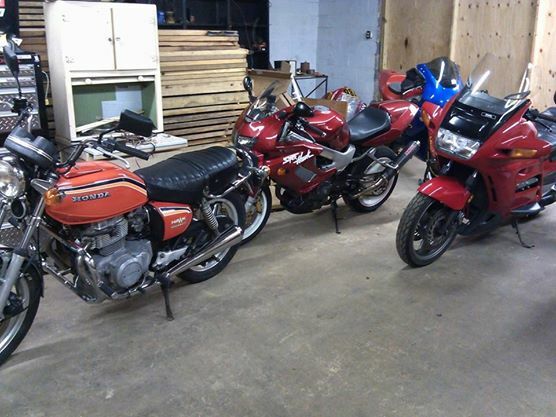 When I used to work on BMW's and Triumph's, a couple of the techs had older Duc's and said they worked on those so infrequently they couldn't let them go for how much fun they were. 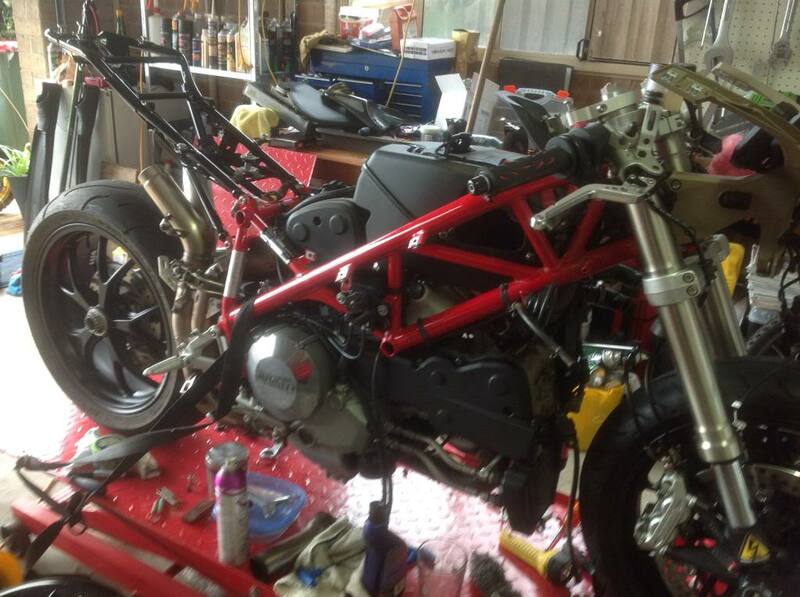 Regarding the Ducati maintenance, I guess it's a state of mind. Because they cost so much they just seam to demand more attention is one part of it, and because of their temperament! When things aren't right you really feel and notice it so maybe I am paranoid but I am always checking things. Don't get me wrong, that are very enjoyable but I have never been able to do a long ride and just park it up, leave it for a week or so and then fire it up and do it all again. There is usually something that you find, even though it may be small like a loose exhaust bolt, a leaking seal, a chaffed wire and such. Always been that way for me. It just pays to be vigilant with them. And yes, the valve adjustment is a pain, and so is changing the belts, and the in tank fuel filter isn't much fun, and to get at the Air Filter is a major operation as well. I could go on, and if you are **** like me about your bikes, that is why they demand so much time. 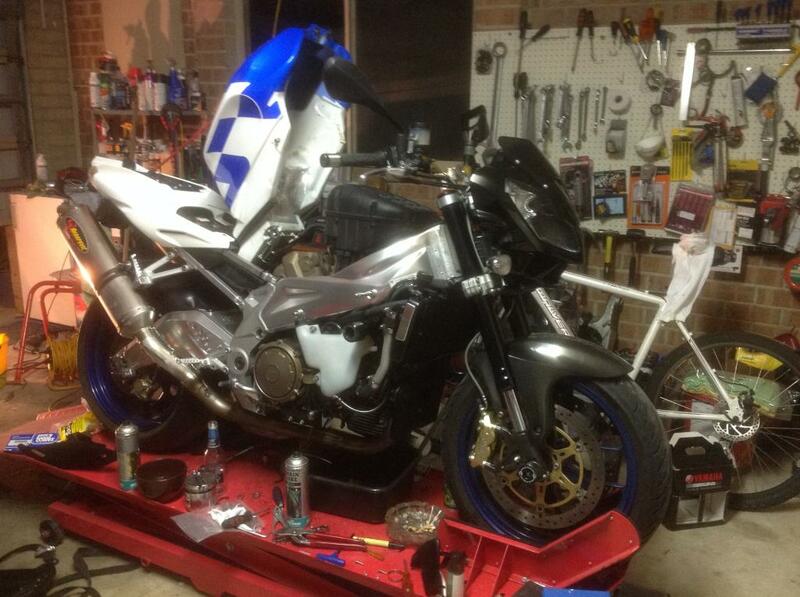 Here is a pic of the last major service done recently, I have fitted different fairing fasteners to make it easier to strip the bike. All in all it takes a lot longer to get at things. During that service found a crack in the radiator that was causing coolant loss. The service kit was $500 plus coolant and lubricants. Valve adjustments took me approx 5 hours and I have done them before. Anything Senna & I'm in! I was lucky enough to see him race - Live & much on TV. A Duc....U will fall back in love with the VTR. Our beloved VTRs - Fix the R/R, CCTs & suspenders (unless ur 170lbs & less) & this moto is PERFECT! It's like the older, not as as good looking sister. You still want to ride it. Sometimes the ones that don't look so good ride the best! So Scobey, after a week living with the Duc how goes it? How does your Hawk compare? Let us know, by the way I really like the cafe racer look of the Duc, it's really cool. hmm well, its a totally different beast thats for sure. shes down about 30 hp from the hawk but doesnt feel like it. total midrange monster. it handles like a dream. ive taken it down my favorite stretches of roads a number of times and its yet to dissapoint me although i will say im not to impressed with the brembos. rear practically does nothing, and the front brakes arnt to great either. for being a bike thats not a repli racer, its easy to ride fast. i went on a ride with the local ducati dealership guys yesterday and had no problems at all keeping up with the 1199's in the canyons. it is hard for me to get passed the maintenance though. my bikes get used and abused and i love the trouble free riding the hawk offers. so having said that id pick the hawk any day of the week but the duc may stay around a little while. at least until i find something else i cant live without. Well Scobey, I took the 848 for a ride on Friday our time and found that one of the rear blinker lenses had fallen off when I stopped for a break. Pissed of a treat and rode back home to find it in the middle of the road opposite my drive way. Picked it up and inspected it to see that it had been run over by a car and the tangs were broken. Straightened them up and super glued it back in place. Don't know what it is a bout Ducs but things like this happen all the time, then I find that one of the new fork seals is leaking. To be fair the blinkers are aftermarket that came with the tail tidy, but the fork seal is OEM. This thing keeps me busy. but anyway dont get me started on duc's i have friends with a 999 and 748 biposto i do both maintanance on them and if you can believe that the 748 from 2001 with 45,000 km that has had fever issues than the 999 from 2005 has alot more little anoying issues mostly electrics he once rode his 999 to bologna and was like he fix my F*ing bike already. Ducs have a certain aura about them that's hard to explain unless you have been heavily involved with them. A lot of Duc owners wouldn't even know how to check the oil let alone adjust the suspension on them, and then there is the other side that can quote you every torque setting on every nut and bolt as well as every maintenance procedure on their particular bike. The latter usually has dirty fingernails from constant fettling and an over zealous maintenance regime. They are good bikes but a totally different experience on a whole lot of levels. In my experience the difference is Honda= Ride it , thrash it park it, check it, then ride again. Ducati= ride it! thrash it! park it! Check it , work on it , then ride it, then go through the same again. They just command more attention and support than the Honda. Kinda like a high maintenance girlfriend that is great in the sack, but expects a lot in return, whereas the Honda just keeps begging for more at a fraction of the cost on all levels. TBH as much as it pains me to admit it, i think (on the street) the duc is a very capable bike. maybe its because ive aimed my hawk so much towards track riding, but the thing just lays down the power so smooth and so evenly. its weird how "peaky" it makes the hawks power band feel. its down about 40ish hp from my hawk but honestly its hard to tell. at least until the hawk gets to 7500rpm. but then again im ususally not flogging the hawk that hard on the street anyways. had absolutley NO probelm dicing it up with a few panigales this past weekend. it would get STOMPED all over by my VTR at the track but unless youve got ***** of steel and are really stupid, it would be hard to outrun the ugly duckling on the street. Rode one once and now wish I'd bought it. I've been crazy for the Monster S2R's for a while now. Would love to have one. Ah hah, the old ducitis is kicking in. They do have something as you are finding out. Ducitis = an affliction that is hard to explain! Let alone understand. 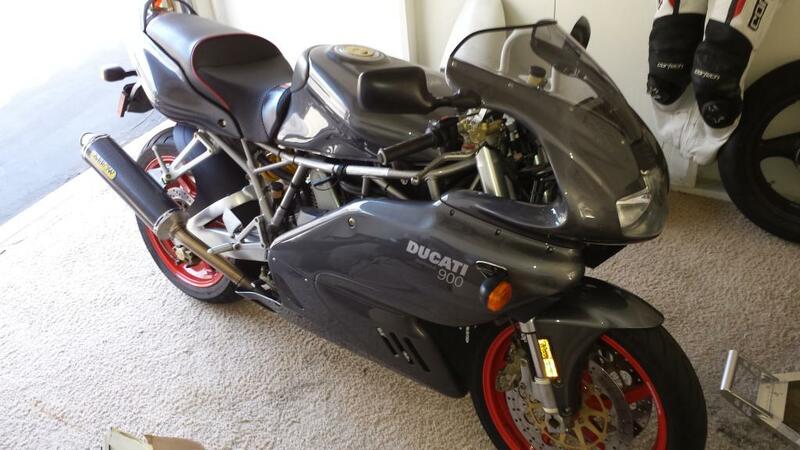 I Bought A 2005 Ducati Multistrad "S"..... Buh-Bye VTR?? Reason you bought a Superhawk.